The common Bagworm Caterpillar (Thyridopteryx ephemeraeformis) has undergone egg hatch throughout much of the state during the past few weeks (GDD = 600-900). The early instar stages during the month of June can easily be overlooked. 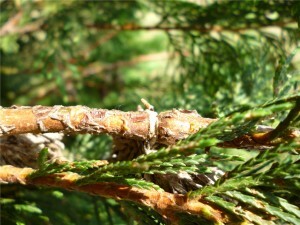 For the first few weeks after hatch, the smaller Bagworms do not produce conspicuous feeding symptoms. However, for best control results these early instars should be targeted. Although the potential hosts of the Bagworm are large, they are generally of most concern on evergreen conifers. 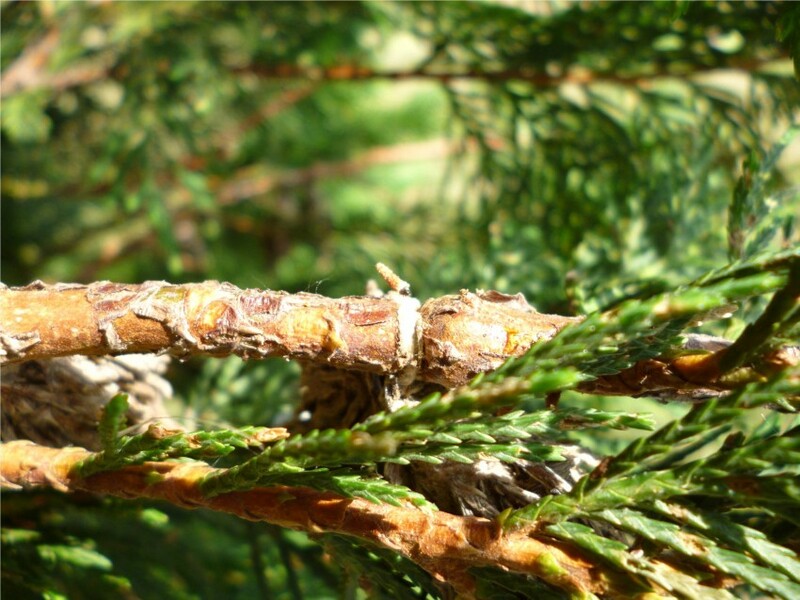 At least occasionally, many nurseries, Christmas tree farms and landscapers must protect plants from Bagworms before serious damage occurs. 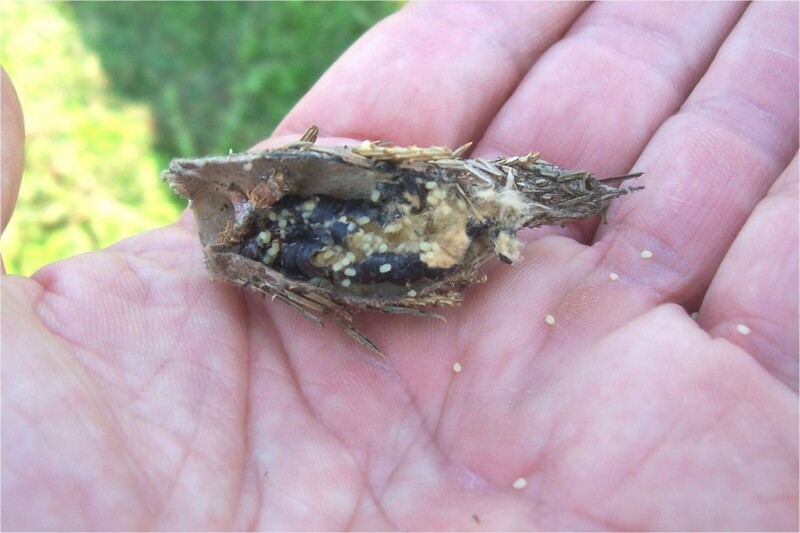 Although the obvious overwintering egg sacks are a sure sign of a potential problem for the coming season, there can also be surprise “blow-ins” from upwind infestations. Similar to the Gypsy Moth caterpillar, the Bagworm also has a “ballooning” stage. Shortly after hatch, a percentage (possibly 75%) of the 1st instar larvae will weave silk from their mouths and then take a “leap of faith.” By taking a ride on the wind the caterpillars can potentially travel many hundreds of yards downwind. The distance traveled by the dispersal behavior is enhanced if they can exit the plant from elevated heights. Therefore, during the weeks of late summer or early fall, the late instar females typically climb to higher parts of the host plant before they pupate. Hence, when the overwintering eggs hatch in late spring they are already at higher levels when they disperse. Also as a result, this is the reason the feeding symptoms often occur at the tops of plants first, since the hatched caterpillars that do not disperse initially feed here. 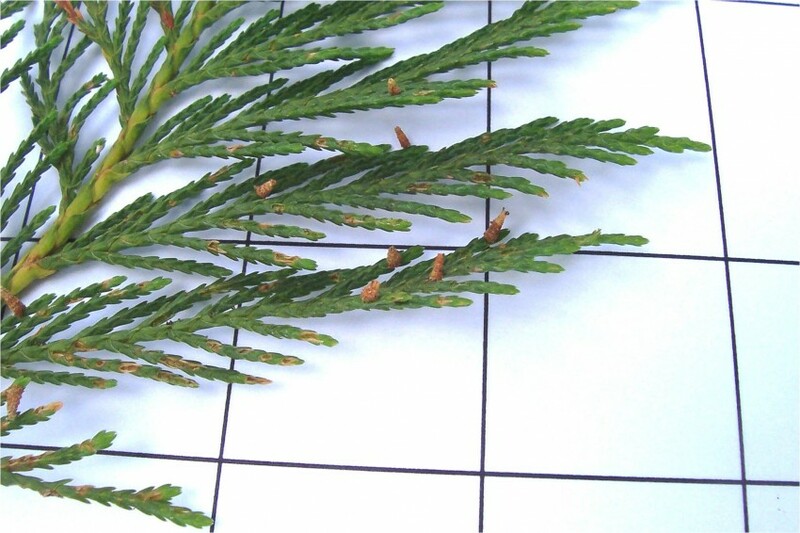 Although it is now too late in most areas of the state, when practical, mechanical controls (hand removal) of the overwintering egg sacks from October to May (before egg hatch) can be effective. Remember, the sacks containing eggs will typically be higher on the plant, therefore concentrate the efforts there. Furthermore, the male sacks will be empty when pressed between fingers, while the female sacks with eggs will have a crunchy feel when squeezed. 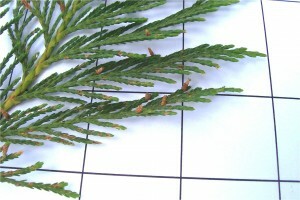 Spray treatments of B.t. (Bacillus thuringiensis var. ‘kurstaki’) are most effective during the 1st or 2nd instar development stages. If B.t. is the desired treatment, then sprays should be applied in the weeks of June or possibly up until mid-July. 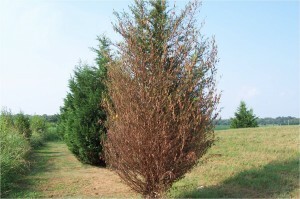 After this time the use of residual insecticides will give best efficacy. 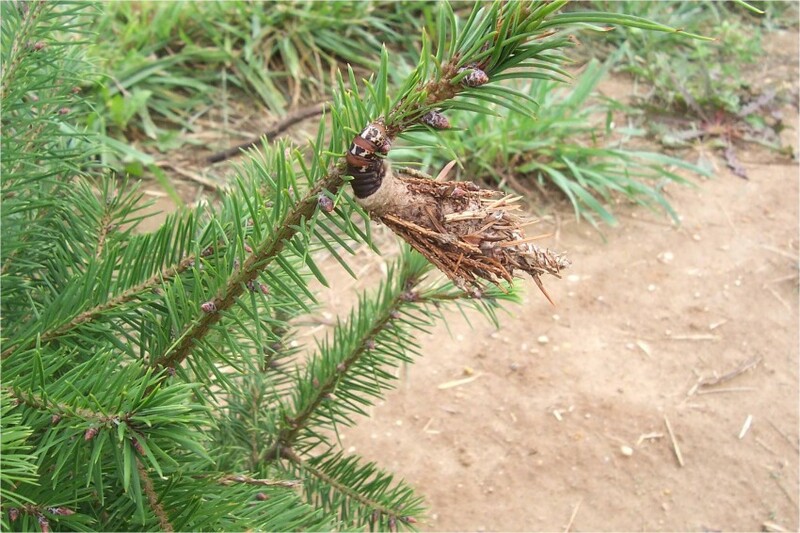 When treating against late instar Bagworms towards the end of the summer, it is interesting to note that these caterpillars can perform a survival behavior. When confronted with a sub-lethal toxin they can accelerate development into a early pupation. 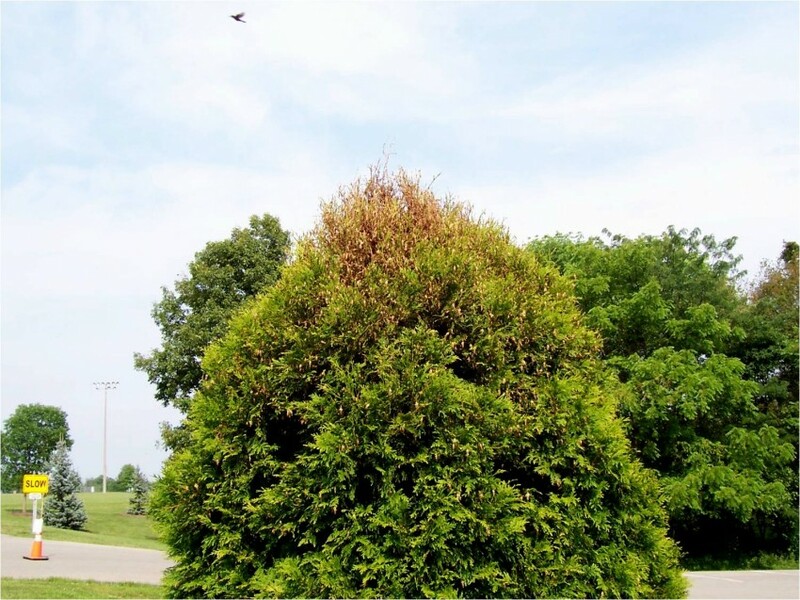 The pupal stage is invulnerable to nearly all insecticides and although the treatment has stopped any further damage for this season, it may not have prevented successful egg laying and another generation hatch next spring.